There’s even a coaching component for someone to coach you in the program. Get all the information, support, and guidance you deserve to create the kind of career you dreamed of. Find out more here. There’s nothing else like it, because it’s created by someone who’s been there and trained thousands of future top-producers! I have 2 agents I want to do the program. I was going to pay for them to do it but it looks like I have to sign up as a coach also in order for them to do the program., Please let me know if I can just sign up my 2 agents. 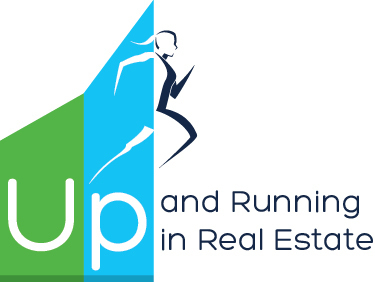 I assume you are referring to Up and Running in Real Estate. All the information is here. The pricing for agents and coaches is on the site. Click here to go right to the pricing. I’ve ordered up and running in 3 days. I’m looking for all the worksheets online so I don’t need to tear them out of my book. Where can I fin them? This is a book published through Dearborn Publishing, so the worksheets aren’t available online. I do have an online training program, Up and Running in Real Estate, that has these and many more worksheets, documents, and processes included. You can see it at http://www.upandrunninginrealestate.com. Will the next version of your book be available as a Kindle e-book?